Physiotherapy is a physical medicine and rehabilitation specialty that utilises the response of human body to physical or electrical perturbations to achieve therapeutic effects. Physiotherapy remediates impairments; preserves, enhances or restores movement; optimises function, facilitates prevention of chronic illnesses and improves the quality of life for those debilitated by the process of injury, ageing, and disease. 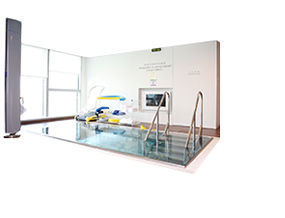 Through examination, physical diagnosis, and physical intervention such as therapeutic exercise and physical modalities (electrotherapy, heat or cold therapy, hydrotherapy, etc.) to achieve the best rehabilitation outcome.